Are you wanting to learn more about rosemary essential oil? 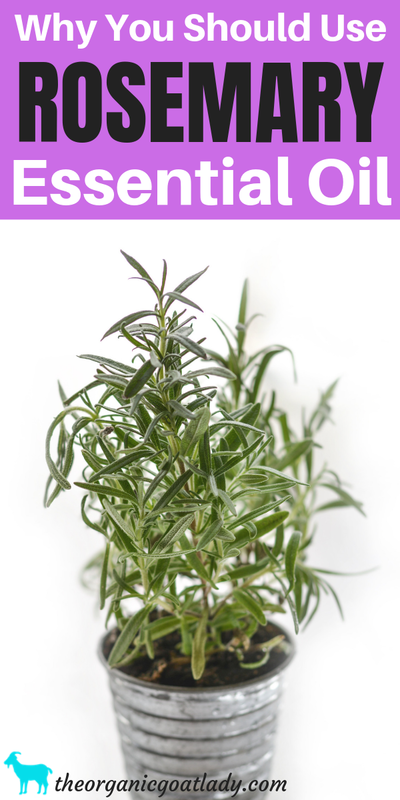 Are you looking for some great rosemary essential oil uses and benefits? Here are some things about rosemary that you need to know! Why You Should Use Rosemary Essential Oil! Rosemary is a great essential oil to keep on hand! I personally use rosemary for many things. Once you read this post, you will too! Let’s dive in and see what amazing benefits rosemary oil has! First let’s look at the scientific name of the rosemary that I use. What is rosemary and where does it come from? Rosemary is a common household herb that is used for cooking. It is an herb included in many home herb gardens to add flavor and seasoning to many dishes. The Rosemary plant has needle-like leaves and blue, purple, pink, or white flowers. It is native to the Mediterranean. Rosemary has a camphoraceous smell. It is a very strong, fresh scent. The name rosemary is derived from the latin word for “dew” and “sea” to make “dew of the sea”. Rosemary has historically been used as a symbol of remembrance. The Romans used sprigs of rosemary in the laurels they wore on their heads during ceremonies and special occasions. So now that we’ve discussed name, origin, scent and a few history facts let’s delve right into what rosemary is used for and how it will benefit you! There are many listed benefits of rosemary! According to Be Young Total Health’s Total Health Desk Reference, rosemary’s traditional and alternative uses include: hair loss, stress, arthritis, indigestion, cough, headache, eczema, and so much more! I personally Love to diffuse rosemary essential oil! It is a wonderful choice for diffusing. When inhaled rosemary essential oil is said to not only be great for the lungs, but to help with relaxation and clearer thinking. 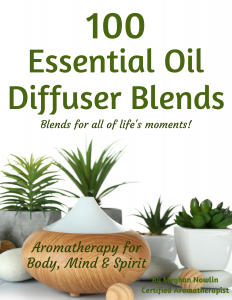 I include rosemary in many of my diffuser recipes that can be found in the 100 Essential Oil Diffuser Blends eBook such as Clean Home Deodorizer and Germ Free Zone. The eBook also includes many recipes for cleaning, children, pets, home, etc. that contain rosemary as well. Recipes such as Lung Support, Focus Blend, and Clarity. Adding a few drops of rosemary to your diffuser blend can be so beneficial! According to JennScents Institute’s Introduction to Holistic Aromatherapy, rosemary is also good for anxiety, hormone balancing, PMS, menopause, and indecision, just to name a few. You can learn more about using essential oils such as rosemary in the bath in my post How to Use Essential Oils in Bath Water. I personally use rosemary in my Study Buddy Spray. It is excellent for helping increase concentration and memory recall while studying for a test or for kids trying to remember their math homework! I also use rosemary in my Lice Prevention Spray and Dandruff & Hair Regrowth Blend. A contraindication is a medical reason for not using something. In this case it is a medical reason for why you should not use rosemary. Rosemary should be used with caution during pregnancy and breastfeeding. It might stimulate menstruation or affect the uterus, causing a miscarriage. Rosemary also contains a chemical that is very similar to aspirin. This chemical, known as salicylate, may cause a reaction in people who are allergic to aspirin. Rosemary might increase the risk of bleeding and bruising in people with bleeding disorders. Use cautiously. Also, rosemary might make seizure disorders worse. Consult your doctor and use caution when using rosemary if you have high blood pressure or heart conditions. Rosemary can also react with certain medications. Taking rosemary along with aspirin might increase the effects and side effects of aspirin. Taking rosemary along with choline magnesium trisalicylate might increase the effects and side effects of choline magnesium trisalicylate. Using rosemary along with medications that slow clotting might increase the chances of bruisng and bleeding. And taking salsalate with rosemary might cause too much salicylates in the body. You also want to make sure that you are using a good quality rosemary. So make sure that you know and trust your source. If you have a brand that you feel confident in you can use that. 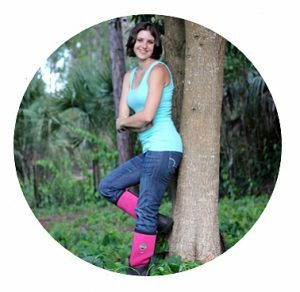 If you aren’t sure about where to get rosemary, or if you would like to check out the brand that I use, you can find it on my business website Healing Blends For Life. I hope you enjoy rosemary as much as I do! Also please come back after using rosemary and comment below with your opinion of the oil! What do you like most about rosemary essential oil? Did you experience any results after using rosemary? If so what were they? Do you have any additional uses to add to the above list?